Our objective is to create a cohort that reflects diversity in thought, experience and culture. To achieve this, we carefully evaluate each applicant's academic and professional accomplishments, interpersonal and communication skills, motivations, goals and other relevant credentials. In addition to the basic requirements, we select students who are intellectually curious, collaborative and focused. Together with our top-ranked faculty and exclusive Executive Partners program, our students experience a personally and professionally rewarding program. Please note that if you have started an application prior to the Fall 2019 season, you will need to create a new application, as we have moved application systems. Each season a new application will need to be created, even if you have submitted an application in the past. For this reason, the MBA Admissions Team suggests saving your test scores, resumes, and transcripts. Please create your application with an email that is easily accessible for the entire year. We encourage applicants to use a personal email address-- do not use a work or school email address. Unofficial transcripts are sufficient for the MBA Admissions Team to initially review your application and make an admission decision. Official transcripts are not required to submit your application, but will be required later in the admissions process. Our online application does not work with Internet Explorer. We suggest using Firefox, Chrome, or Safari. Applicants are required to submit current scores from the GMAT or the GRE. When you fill out the online application, indicate your score and include a copy of the unofficial score report. 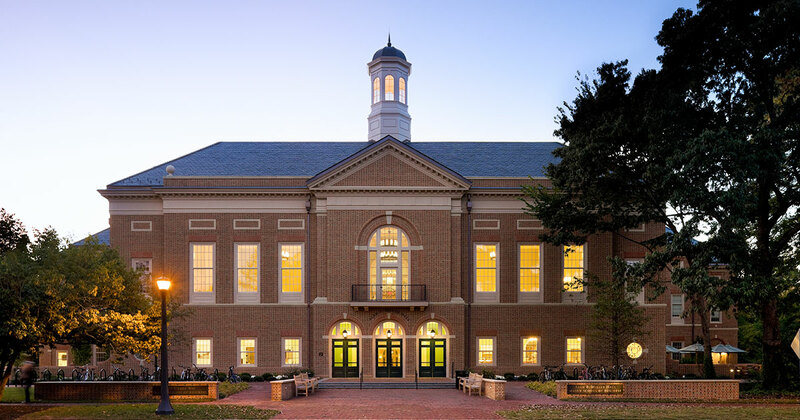 We will review your application using your unofficial score but you will need to have your official test score report sent directly to William & Mary Raymond A. Mason School of Business Full-Time MBA Program. Graduate Management Admission Council and used with permission. Those applicants who have not completed a degree within the United States or in an English-speaking country (not simply an English-speaking institution), or who have not lived and worked full-time in an English-speaking country for the past two or more years must take the TOEFL (Test of English as a Foreign Language), the IELTS (International English Language Testing System), or the PTE (Pearson Test of English). IELTS and PTE test takers: Simply request your scores be sent to William & Mary. Each candidate is required to create an account and submit an application form. A non-refundable application fee of $100 is required of all applicants. The fee is payable by credit card, personal check, cashier's check drawn from a U.S. bank or subsidiary, or wire transfer. Active-duty military, veterans and those who have served in humanitarian organizations such as the U.S. Peace Corps, AmeriCorps, etc. are eligible for an application fee waiver. Please contact MBA Admissions to receive a waiver prior to submitting your online application. Please ensure that you are using a personal, easily accessible email address. Do not use a work or school email address when creating your online application. We require a scanned copy of the transcripts from every college or university you have attended. Transcripts for study abroad programs or transfer credits are not required if the course and grade are included on the transcript of the degree-granting institution. If your transcripts are in languages other than English, also submit translated versions. It is helpful to request official transcripts in advance of submitting your application, but it is not required. Unofficial transcripts are sufficient for our initial evaluation and admissions decision. Once admitted, you will be required to provide an official transcript from each of the colleges and universities you have attended as a registered student. Official transcripts should arrive in a sealed envelope with the signature of the Registrar across the seal. Do not open official transcripts. Official transcripts can also be submitted electronically to Toni Sturdivant (toni.sturdivant@mason.wm.edu) via your institution's electronic vendor and using secure portals. A transcript sent directly by the applicant will not be accepted as official. Your recommender should be someone who can provide specific and relevant information about your intellectual and professional abilities, performance, and motivation to pursue an MBA degree. If one of your recommenders is not able to complete the recommendation letter online, a recommendation form may be submitted by mail. The form can be found in the supplemental application forms section of the online application. We require a response to the first essay question and offer you the opportunity to submit an optional personal statement. At the top of each page, please put your full name and a complete statement of the question being answered. Most of William & Mary MBA candidates will have obtained several years of post-undergraduate professional experience. However, the impact a candidate has made on an organization, growth in responsibility over time, leadership experience and other factors are all considered when evaluating experience. Candidates with limited professional experience must be strong in other aspects of their MBA application, including academic performance, demonstrated leadership achievement and campus or community involvement, and possess clearly articulated goals to offset the lack of experience. We encourage you to limit your resume to two pages - one page resumes are preferred. An interview is the last step of the Admissions process. Interviews are offered by invitation only to candidates whose applications have passed through an initial evaluation. We encourage you to conduct the interview in person in conjunction with a campus visit, but we understand that this is not possible for all candidates. For applicants unable to meet in person, interviews are also offered via phone, Skype, Facetime, Google Hangouts, or in select locations around the world. The Full-Time MBA Admissions team welcomes inquiries from and interactions with prospective students in all stages of the admissions application process. Find out how to connect with us. *After April 29, rolling admission through July 16, 2019 as seats are available in the Class. This program is an exclusive partnership between William & Mary and the U.S. Army Training and Doctrine Command (TRADOC). It has been tailored with an intensity meant to match the pedigree of Army leaders, and requires admission to the university and final approval from the military.